Located in the renowned Enatai community, this fresh new Colonial design by BDR Fine Homes boasts 5,890 Sq. Ft. and 6 bedroom suites plus a den. The expansive covered outdoor room is perfect for entertaining; featuring heaters, a fireplace, TV, and BBQ. The GenSuite guest suite features a full-kitchen, bathroom, and bed/living room; all accessible through a private entrance. 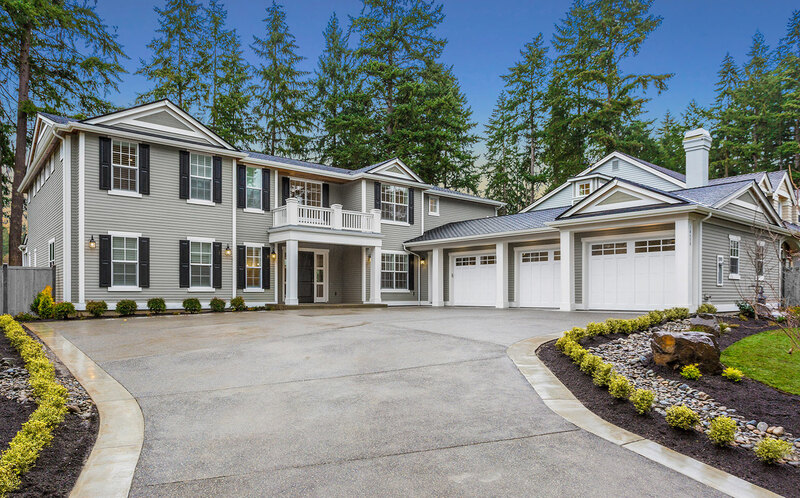 This luxury home is located within walking distance to Enatai Elementary, numerous neighborhood parks and beaches, and is just minutes away from downtown Bellevue. Located on a quiet, large, and bright lot, this fresh new design blends exquisite craftsmanship with practical livability. From the chefs kitchen equipped with top of the line appliances and an expansive 10 foot kitchen island, to the separate prep kitchen and mudroom, this new offering from BDR Fine Homes is designed for the very finest in modern luxury living.